We provided cost management services on this restoration project to the Grade 11 listed building built in 1820. The project involved the complete refurbishment of the entrance and foyer space to provide a modern and welcoming environment. 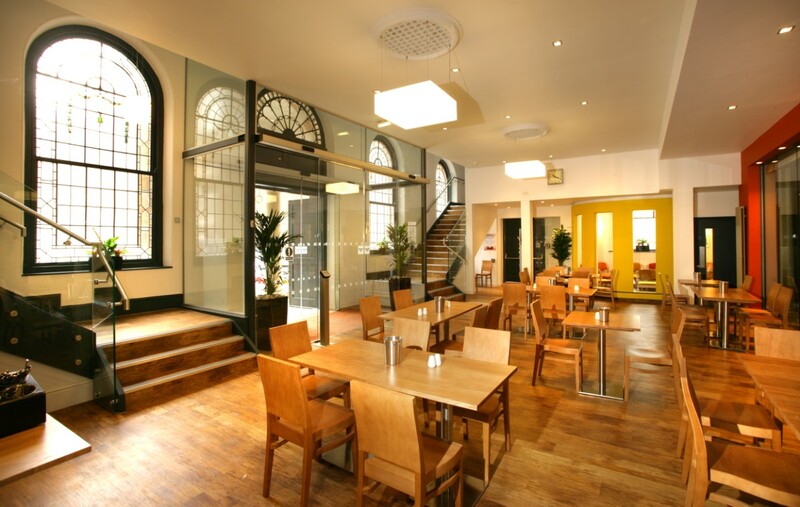 Works included the introduction of a glass screen between the reception area and the church hall, new glass entrance lobbies, modern lighting as well as a range of quality soft furnishings.